Before my move to France to study at INSEAD, I wrote about why French Women Don't Get Fat and I must admit that I believe in much of what is in the book. 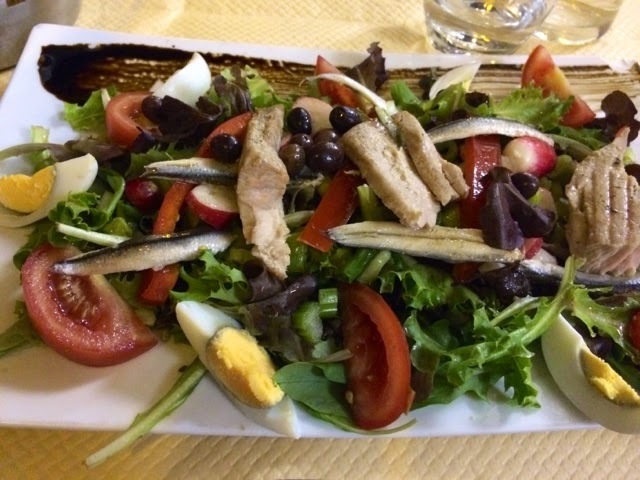 French food tends to be rich and high-quality, but enjoyed in smaller portions. The bread doesn't make me feel bloated and seasonal vegetables are always used in meals. 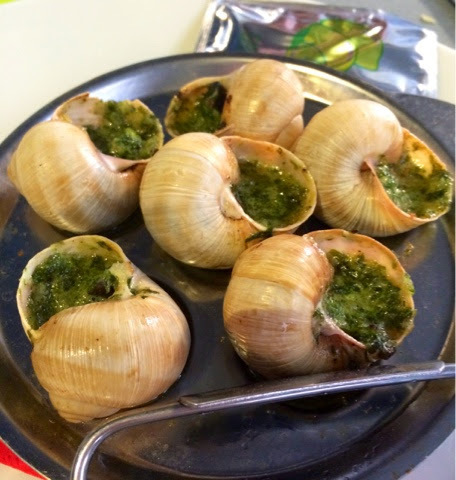 Our cafeteria food is pretty awesome and I'm having fun trying new things, like snail, in the restaurants of Fontainebleau and Paris. I enjoy the French love for seafood. My only major complaint about French food is the prevalence of diary. You can not get anything without cheese or milk. Although I try to avoid it, it's really difficulty to do so, and waiters do not really understand why i would want something "sans lait." Regardless, it's been fun exploring the food options in France and here are some ideas for your home cooking! Snail, not as gross as it sounds. 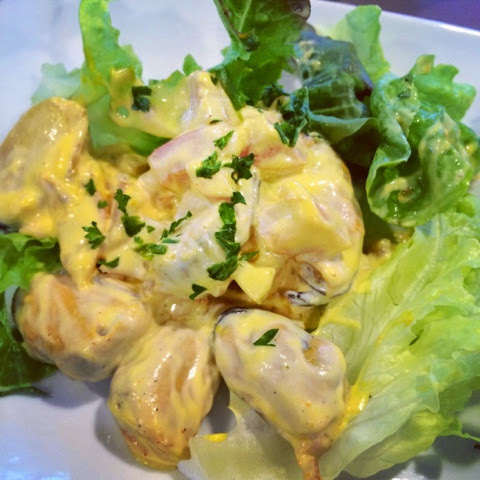 Shrimp salad, with cheese sauce, of course. 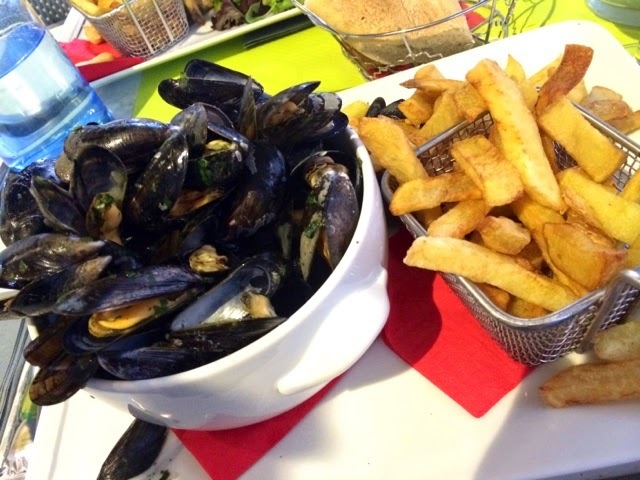 Mussels and fries, my favorite! 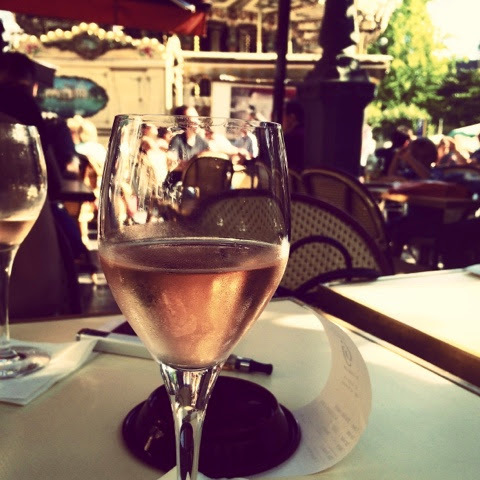 And you can't have a French meal without a glass of wine! I would love to hear how your approach to eating has changed (if it has) and what you think of the book now that you've experienced living in France! I am letting myself eat more "unhealthy" food than before because I want to try new things and enjoy France. The good thing is that everything is served in small portions so you can eat the savory things but not over eat. My biggest complication has been trying to avoid dairy, not easy in France at all.